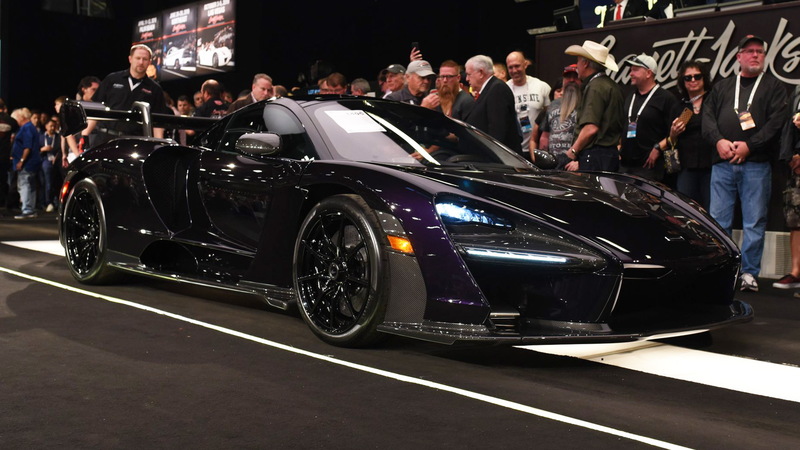 Barrett-Jackson on Saturday played host to the sale of a 2019 McLaren Senna, a car that has been sold out since it made its debut in 2017. The Senna ended up going for $1,477,500, which was the highest price paid at a non-charity sale during Barrett-Jackson's annual auction in Scottsdale, Arizona. The price is also higher than the 1.4 million McLaren originally charged for the car. 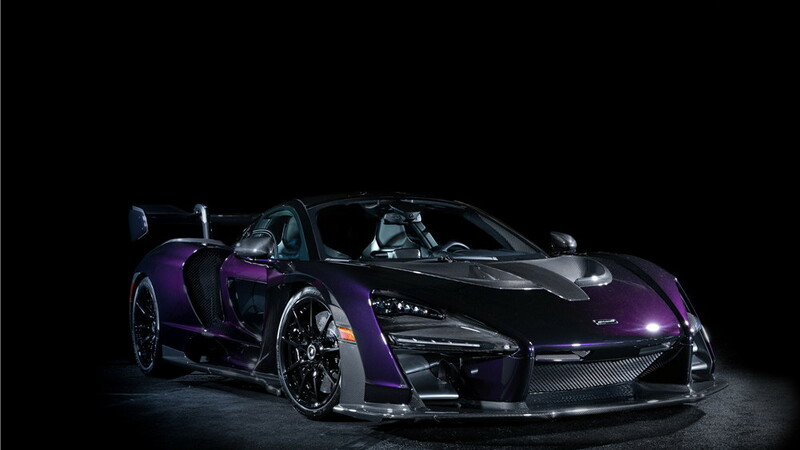 The company built just 500 examples of the Senna, and this particular one features the VIN ending in 005. This car is also mighty sinister looking with a Black Amethyst exterior color over black accents. 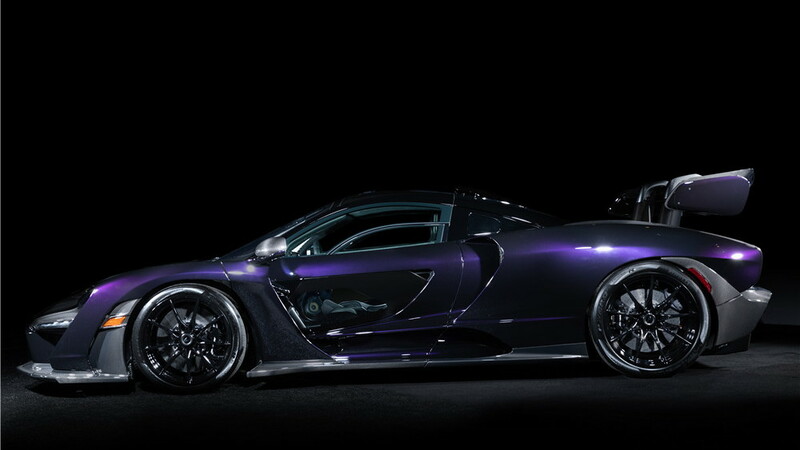 The hue gives off a deep purple vibe in some lighting conditions, a proper exotic touch to McLaren's lightest road car ever. Keeping a foot mashed into the throttle will eventually take the supercar to a top speed of 211 mph. As we've said in the past, the figures are absolutely worthy of the Senna name. McLaren named the supercar after the late Ayrton Senna, who snagged three Formula 1 world championships driving for McLaren. Around the track, where the supercar is most at home, the Senna creates 1,400 pounds worth of downforce to stick the car to the pavement. 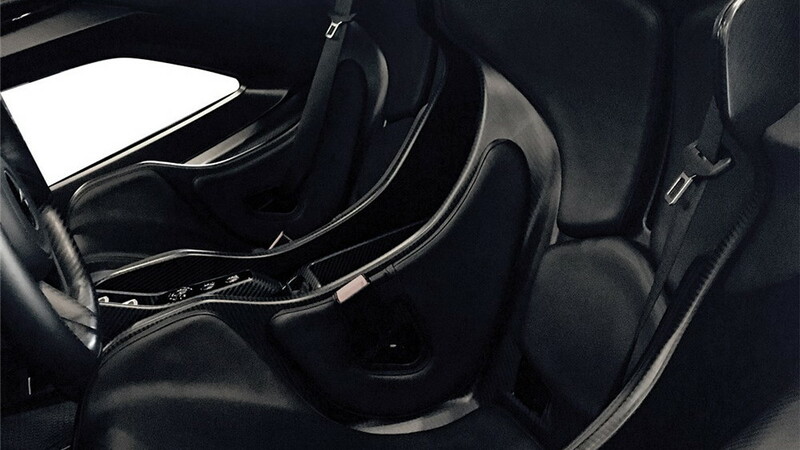 The supercar also weighs just 2,641 pounds and features McLaren's ProActive Chassis Control system. Double wishbones and the front and rear include adaptive dampers interconnected hydraulicly. Sensors relay info, which the suspension uses to adjust damping in just two milliseconds, while Pirelli P Zero Trofeo R tires ensure maximum grip. It'll likely be some time before new Senna owners are ready to part ways with their supercars, but fans that missed out can look forward to a new track-only Senna GTR currently in the works. Just 75 are planned, though we hear they're also sold out.